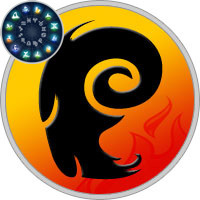 Being an Aries born on April 14th, you are characterized by generosity, optimism and a fun-loving personality. When it comes to those you care about, you can be genuinely selfless. Your friends and family would be the first to admit that you are always willing to share your time, effort and resources for their well-being. You bring this same positive attitude into all aspects of your life, as you are always able to see the best in people, situations and experiences. These qualities combine to give you a great appreciation for life. More than anything else, you appreciate a new and exciting experience. Your sign’s planetary ruler is Mars, but as you were born in the third Decan, or part, of the Aries sign, you receive a generous dose of Jupiter’s planetary power as well. Being the planet of assertiveness, it is Mars that connects to your vigorous, action-oriented and courageous qualities. In the same sense, it is Jupiter, the planet of expansion, that ties to your truth-seeking, generous and idealistic nature. Your unique combination of planetary powers makes you the most intellectually driven and curious of all the Aries Decans. You are on a lifelong pursuit of understanding, which may take you into the depths of spirituality or philosophy. While it is easy for you to get lost in your "dreamer" mentality, your material pursuits help to keep you grounded. In love, find a partner that shares in your adventurous qualities, but is perhaps more realistic in their world view. The great desire of the Aries born on April 14 is to forge a oneness between mind and spirit. They are highly evolved, emphatically intelligent people who are never afraid to question, to search, to dream.